If you are searching for an hotel with handicapped guests services in Venice, hotel Residenza Parisi is the right place for you. 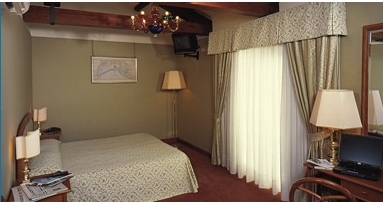 Hotel Residenza Parisi is located in piazzale roma, right the entrance of Venice and is very easily reachable by car. The Hotel has special attention to diabled guests with special needs and therefore has been equipped with all services for handicapped clients. Out of the hotel Residenza Parisi you can find stops of the main lines of vaporettos, the public service of Venice. You can also easily make a tour of the city. For further information and special needs please contact us.